The Moors took control of Spain at the beginning of the 8th century, resulting in the blend of the two cultures. Through the combining of the intricate North African designs with the sophisticated tile-making techniques of Europe, Moorish lantern tiles were born, and they have not gone out of style in over 1,300 years. 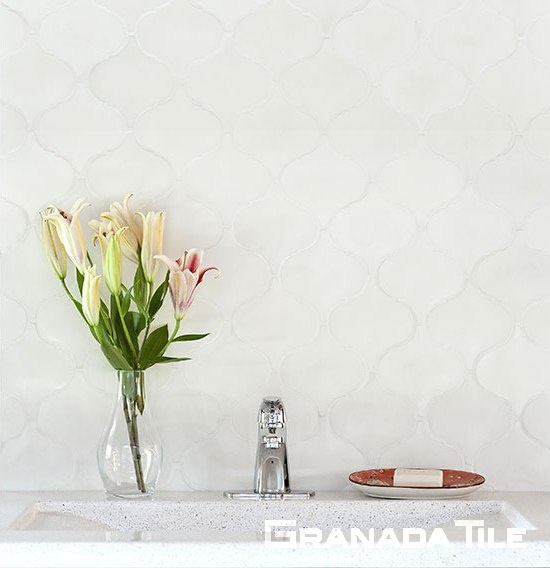 Arabesque Tiles (Andalucia Collection) – These tiles have an undulating and interlocking design that proves to be subtly captivating. The unique use of rounded shapes gives the tiles the look of flowing water. Droplet Tiles (Minis Collection) – The combination of long curves and sharp points gives these tiles their one-of-a-kind appearance. They look striking in any setting without dominating the design. 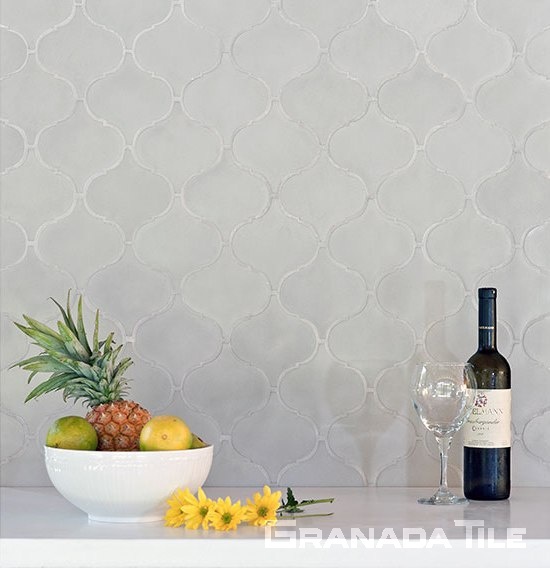 Lantern Tiles (Andalucia Collection) – A contrast between sharp lines and rounded edges helps to set these tiles apart. 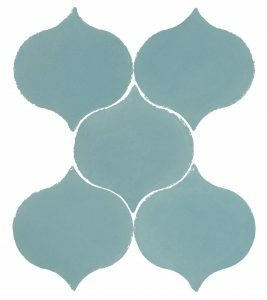 They distinguish any floor, wall, or backsplash from all the other elements around it. Why Choose Moorish Lantern Tiles? Very few tiles are as stunning as Moorish lantern tiles. Their designs are inspired by Islamic art, which is known for highly-detailed and carefully-ordered patterns. The many design options allow you to create amazingly attention-grabbing patterns that run across an entire floor or up an entire wall. It does not matter what kind of pattern you are attracted to or what kind of overall look you want to achieve. There are many options that perfectly complement what you want to create. 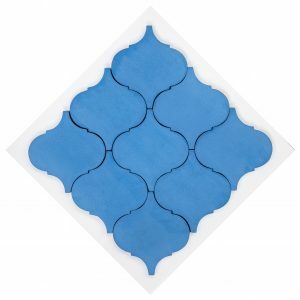 The number one feature of Moorish lantern tiles is complex design followed by the bold use of bright colors. Simply stated, there is no such thing as a drab one. They liberally use yellows, blues, reds, greens and other adventurous colors. Plus, many tiles combine multiple colors onto one surface, allowing you to add a whole rainbow to a room. What is probably most impressive, however, is that these tiles use bright colors without being distracting or gaudy. They add a luminous presence to any room without being a distraction. 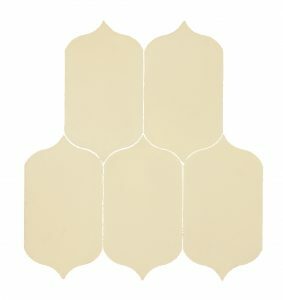 Moorish lantern tiles have never gone out of style, and they have never been a top trend either. They tend to be appreciated by people who have a deep understanding of timeless design and a true love for the spaces they create. As a result, you don’t see them in a lot of houses, even if you notice them whenever you do see them. Choosing to work with this material gives your space something distinct and sets it apart from the neighbors. Where can you put them? Just about anywhere and everywhere! 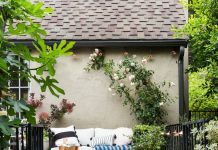 The kitchen and bathroom are the most popular places, but these tiles also look great in an entryway, around the backdoor, in an outdoor living area or in any place you traditionally use tile. There is a wide range of sizes to match the wide range of styles. Tiles can also be applied to the floors, walls or even ceilings if you choose. Thanks to the versatility of Moorish lantern tiles you don’t have to worry about technical issues compromising your design dreams. 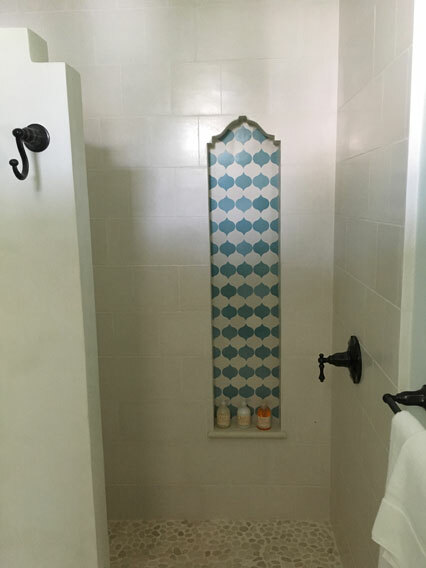 Adding Moorish lantern tile provides an immediate design upgrade that is functional too. Like most tile, this tile is incredibly easy to clean no matter what gets spilled on it. That is why it’s so popular in areas like the kitchen and bathroom. When the tiled areas inevitably get dirty, cleanup is as quick and simple as possible. They are also practical from a cost perspective. Compared to some other options, this one delivers a big boost without busting your budget. One of the reasons you don’t see homes with big intricate tile designs across the floor or walls is because most tile is delicate. If just one area was to get damaged it would interrupt the whole pattern and lead to expensive replacements. In contrast, Moorish lantern tiles are incredibly durable and built to last for years into decades. It stands up to hard impacts, regular abuse, and years of wear and tear without showing its age. And if you ever do need to replace a tile (or 4) swapping them out is easy. You can feel confident going big and bold knowing your design is going to keep impressing long after it’s installed. We talked earlier about how these tiles are resistant to trends. This is great news from a design standpoint because it means the design you create now will still be in style years down the road! 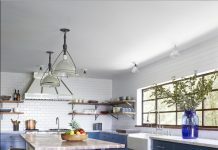 This tile has a classic look that never seems to grow old or outdated, meaning you don’t need to worry about redecorating as soon as fashions change. Better still, you don’t need to worry about scaring off potential home buyers should you choose to sell the home. One of the truly unique things about these tiles is the way they seem to elevate the look of everything around it. The furnishings, wall hangings, and appliances all appear more stylish and upscale when they are accented with Moorish lantern tile. 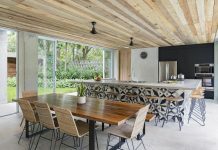 If you want to make a significant improvement to your home without taking on a significant renovation project (and budget), this material makes the impact you want.